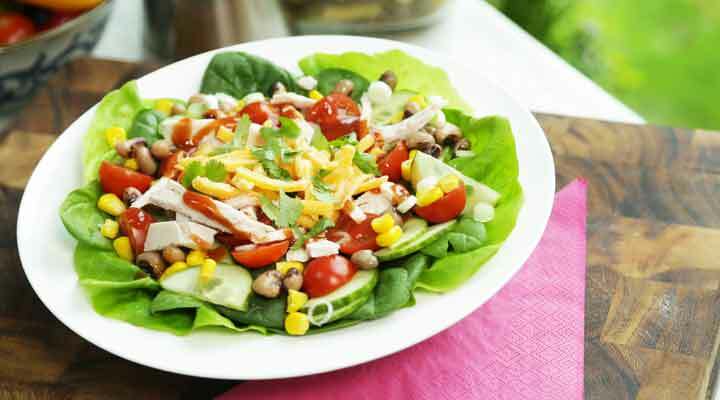 Operation Transformation Recipe - Healthy Salad with a BBQ twist. Top with chopped chicken, black eyed peas, sweet corn, chopped cucumber, scallion, grated cheese and coriander. Drizzle with Aoife’s BBQ sauce.